Pinecone Rug. 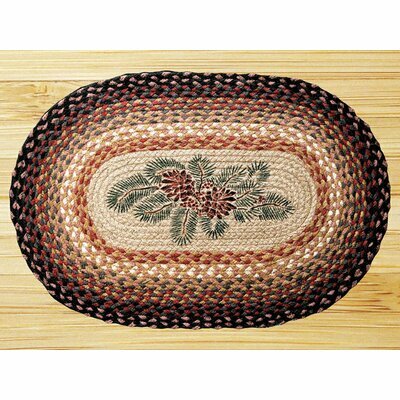 Lovely at Christmas and all year-round this braided jute rug has a classic deep woods motif. Set it in a hall or entryway to spruce up any nature-themed décor. Vacuum your rug frequently, and occasionally use a stiff broom on it. Do not soak or launder in washing machine. Imported. 30"L x 19"W.